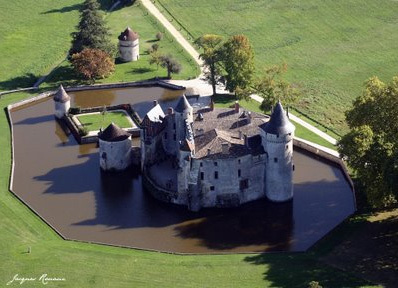 Come and visit La Brède: Montesquieu’s Château, the park, the vineyard… and soon the winery. Before her death in 2004, Montesquieu’s descendent Jacqueline de Chabannes created a Foundation, so that the château, and the listed 150 hectares that surround it, could continue to receive visitors and host events in memory of the philosopher of the Age of Enlightenment. On 14 September 2012 the unveiling of the “Maison des Illustres” (“Home of the Illustrious”) plaque was toasted with Château de la Brède. Created by the Ministry of Culture and Communication, the purpose of the “Maison des Illustres” plaques is to inform the public of places that preserve and pass on the memory of the political, religious, industrial, scientific and cultural figures that used to live there. Opening times are available on the website: www.chateaulabrede.com.